Well-maintained 2-bedroom ranch. All one-level living! Bonus room makes for a nice home office and includes a HUGE finished attic. Gas fueled cooking and hot water heater. Energy efficient vinyl windows, separate laundry room, wall-to-wall bedroom closet and updated bathroom with loads of storage. Detached garage, off-street parking and flat, fenced yard. 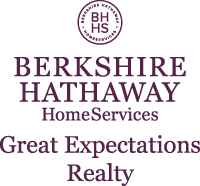 I am interested in 3108 4th Avenue, Charleston, WV 25387. Sign up for Inside AccessTM to view recent sales near 3108 4th Avenue.